Proppant Today caught up with Patric Galvin, CEO of South Dakota Proppants, to learn more about his company and the steps he is taking to open the site. South Dakota Proppants is developing a frac sand mine and production facility in Pennington County, South Dakota. The site, called the Hill City Silica Mine, is slated to produce one million tons of frac sand per year. 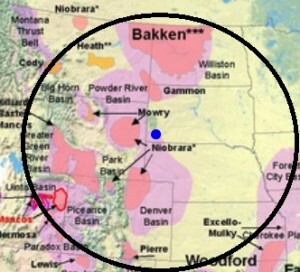 According to Galvin, “From the Hill City Silica Mine we have a logistical advantage to serve the Niobrara in Colorado, the Powder River play in Wyoming and also the Bakken.” Although the site has access to rail, frac sand will primarily be trucked to the shale plays. 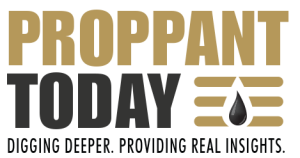 South Dakota Proppants expects to begin delivering frac sand by the third quarter of 2017. The company plans to employ 320 people including truck drivers who will deliver the frac sand to the unconventional oil and gas plays in the neighboring states. South Dakota Proppants: proximity to Western US oil and gas plays. Image provided by South Dakota Proppants. Galvin located the frac sand resource with the assistance of the USGS and drove to the location to scout it out. Because part of the site had been a historic mine, Galvin was able to view the face of the sandstone and sample it. Following a formal drilling and testing campaign, the company acquired the historic mining leases and added additional acreage, now totaling 1,754 acres. The resource includes both Cambrian and early to late Ordovician deposits in horizons ranging from 65 to 95 ft. The indicated resource is 250 million tons of frac sand which is expected to increase following further drilling and testing. South Dakota Proppants will offer a 30/50 frac sand with a crush resistance of 7k and a 40/70 frac sand with a crush resistance of 8k. The mine will also yield the larger diameter 16/20 and 20/40 frac sand products. 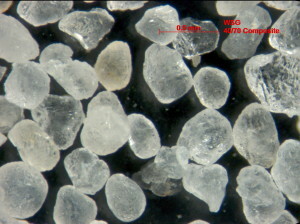 40/70 frac sand from the Hill City Silica Mine under development. Image provided by South Dakota Proppants. The rise in unconventional oil and gas in the US caused an inventory disruption on a global scale. In Galvin’s opinion, the oversupply of oil will be rebalanced as the OPEC member nations adjust their production to return to a stable price of $85 to $90 per barrel. Once the prices lift, according to Galvin, there are 4,000 wells drilled but not completed in the US which will consume ten million tons of sand to complete at the same time that new drilling activities will resume. 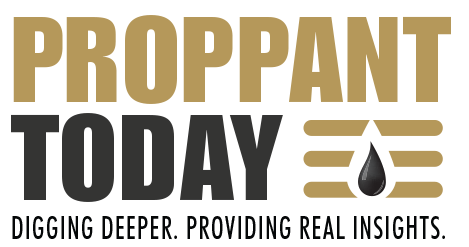 South Dakota Proppant is actively meeting with frac sand buyers with an intent of pre-selling 50% of its planned capacity. The company is also engaged with community and governmental stakeholders, and conducting site investigation permitting and fundraising activities. A 2013 study of the economic impact of mining in LaSalle County, Illinois, which includes five frac sand producers, the employment multiplier of mining jobs is 2.4, meaning the site is expected to add more than 750 new jobs to the area. The Hill City Silica Mine will bring full-time and year-round work to an economy largely based on seasonal tourism. Thanks to Patric Galvin for sharing his vision of South Dakota Proppants and his views on the dynamic frac sand market. For more information, visit the South Dakota Proppants company website.